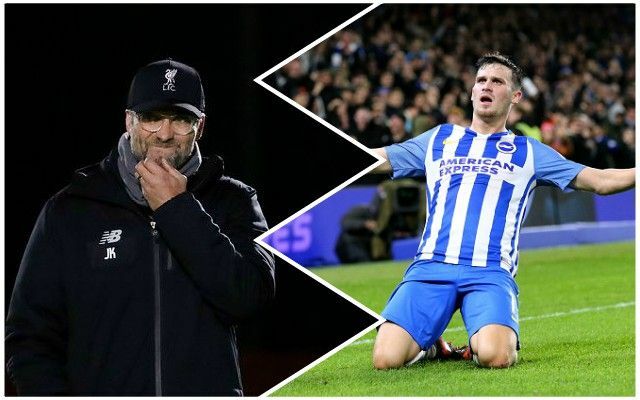 Jurgen Klopp is set to make a move for Brighton attacking midfielder Pascal Gross, according to The Daily Mirror – with the Reds boss seeing him as a viable alternative to failed summer transfer target Nabil Fekir. They claim the 27-year-old Brighton man is valued at around £15 million, with the Reds hoping to sign him in January. Given Lyon’s Fekir was clearly a man Klopp wanted in August, signing someone else in his position makes sense, but not necessarily Gross. The German number ten scored seven times and was impressive for the Seagulls last season after signing from Ingolstadt in 2017, but this season has only made eight Premier League appearances and has struggled with injury. It seems highly unlikely that Gross would be a player Liverpool would want to target given he’s struggling to get a game for Chris Hughton’s side, but it does seem like another creative midfielder could be a possibility next month.